OVERVIEW- Cascade is the second largest city in Valley County and is the county seat. It is also the home to the only movie theatre. The Roxy Theatre is an art deco theater that first opened in 1939 and was re-opened in May of 2013. Like all the towns in Valley County, Cascade offers year-round outdoor sports and recreation for everyone. With Lake Cascade, and the North Fork of the Payette River running through town Cascade has become a sports fishing and white water enthusiast’s destination. Lake Cascade is one of the top fisheries in Idaho and is well known for its excellent fishing all year round. Located in town, Kelly’s Whitewater Park is a playground for river kayakers of all levels. For winter sports enthusiasts, the Cascade area has over 800 miles of groomed snowmobile trails as well as 27 km of Nordic ski trails. WHY LIVE HERE OR VACATION HERE? Cascade is a very unassuming, quaint little town. This mountain town has it all. Meadows full of wild flowers, mountain views, a river running through it, and a lake. 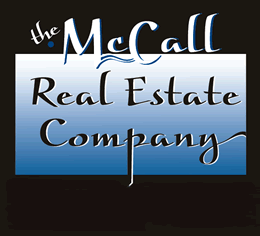 It doesn’t have the tourist draw that McCall does, so residents enjoy a quieter life style. Cascade is for the river lovers, with great fishing and canoeing on the slow water between town and Cabarton, or enjoying the thrill of rapids at Kelly’s White Water Park or the Cabarton run on the North Fork of the Payette River. DINING – The dining options are very representative of the town itself. Down Home comfort food. Diners like Grandma’s and the Whistle Stop are known for home cooked meals. The Whistle Stop has homemade breads, hamburger buns and cinnamon rolls and it is known for large portions. RECREATION – Cascade is – home to Cascade Lake State Park, Kelly’s Whitewater Park, and the Cascade Golf Course. The golf course is a 9-hole course on the shores of Lake Cascade. Each year the town of Cascade plays host to the Payette River Games, Valley County Fair and Thunder Mountain Days. Warm Lake is a popular spot of hiking, biking, fishing, and camping is a short drive from town. Warm Lake is a natural mountain lake that is stocked full of trout. SCHOOLS – Home to the Cascade School District. Two schools make up this district, an elementary and a junior-senior high school. Like the schools in the rest of the county, Cascade has small class sizes and a dedicated staff of educators. Cascade Elementary – This school includes pre-Kindergarten and goes through the sixth grade. It has a student teacher ratio of 14:1. Cascade Jr. / Sr. High School – Has received a Bronze medal rating by US News and World Report in their annual Best High Schools in America.